Tabs in our Web browsers have become a critical feature so much that I can't imagine using a browser without tabs. 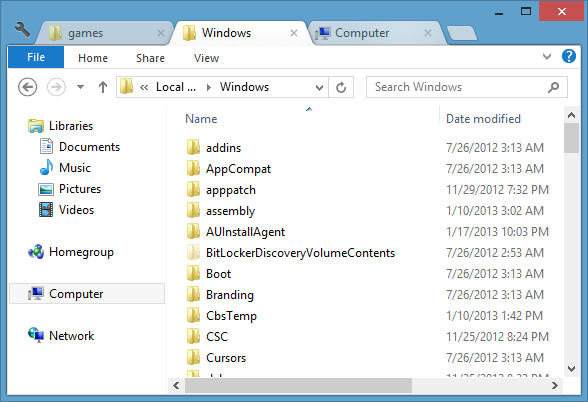 They have made browsing the web easier and more productive, yet for some reason we don't have tabs in the second most used browser, Windows Explorer. Like most operating systems, iOS and the apps that run on the iPhone and the iPad creates temporary files during normal operation. There is nothing wrong with this behavior as it helps the performance of the operating system and the apps. However, over time these files can add up taking up a significant portion of your storage. iOS does not have an effective mechanism to clean up these files which result is lost space. On mobile devise that typically have a limited amount of storage already, every MB of space is important.